Justin has spent the last two decades making his fortune, settling scores, and suffering a prolonged period of torture in an Indian prison. Now, firmly established in the grandest house in King's Abbot, he needs someone to smooth the way for him with the villagers. Someone to manage his household--and warm his bed on occasion. 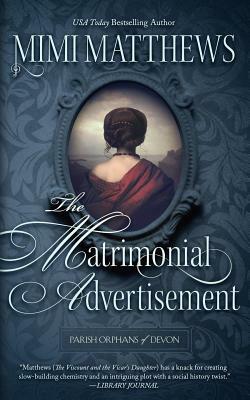 What he needs, in short, is a wife and a matrimonial advertisement seems the perfect way to acquire one.